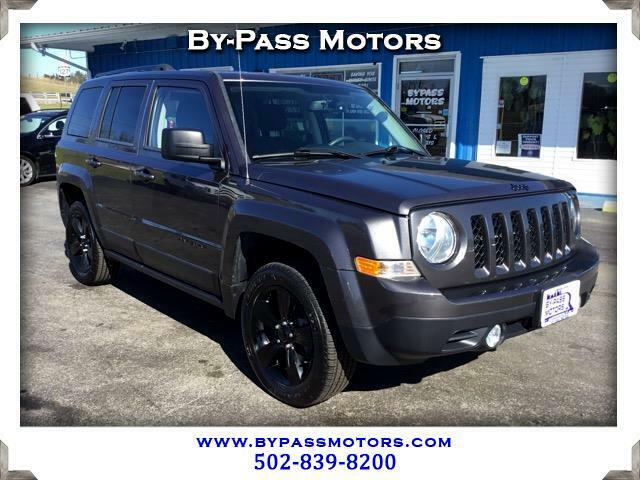 Used 2015 Jeep Patriot 4WD 4dr Altitude Edition for Sale in Lawrenceburg KY 40342 By-Pass Motors, Inc. This is a SUPER CLEAN ONE OWNER JEEP that has a clean Carfax with service history!!! We have performed a complete service on this Patriot to insure that it needs nothing and it does come with factory warranty. This Jeep is sharp and will turn some heads with its dark grey paint and blacked out wheels you are sure to get some attention. Come on out today and take this sweet ride out for a test drive!!! We have been in business since 1989 with an A+ rating with the BBB!! !